Less is more—we’ve all heard that before. 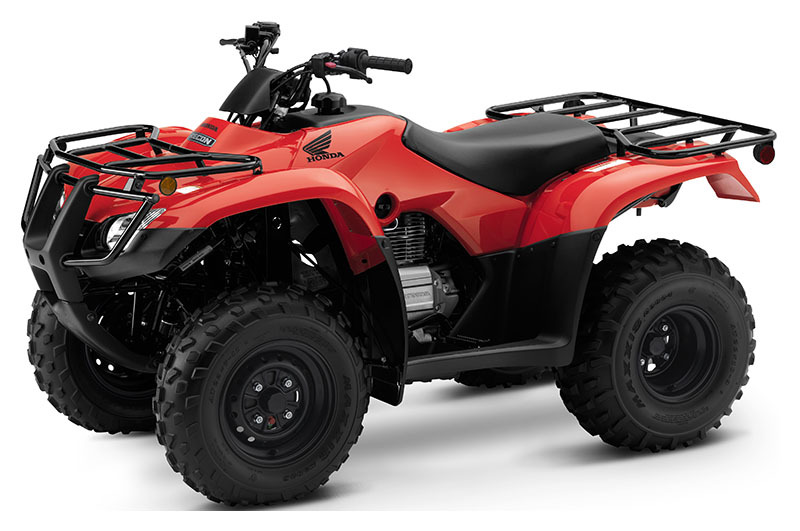 But when you’re looking at a hard-working ATV without an extra ounce of fat, well, that’s the Honda FourTrax Recon. It’s distilled Honda quality and performance in a package that’s right-sized for plenty of riders. The Recon is a powerful, versatile, rugged ATV, but one that also offers a smaller overall footprint. It’s a powerhouse of an athlete in the welterweight division. A specially designed 250-class engine is engineered for plenty of low-rpm torque and power, where the real work gets done. Its two-wheel-drive layout features Honda’s famous longitudinal engine design for more efficient power transfer. Sized right, built smart, and engineered to last—with the Honda Recon, you go big where it counts.